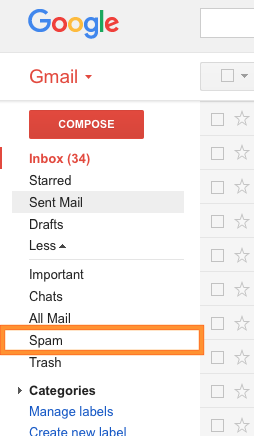 You should be able to adjust the spam settings in your email account. Log in to your email account and navigate to your spam folder. Once you are there, simply mark the selected emails as "Not Spam." All future emails sent from that same email address will no longer be placed in spam. If this process does not work, you can add our email address (support@embershot.com) to your Contacts list, or even create a filter preventing the messages from being sent directly to Spam.